While photoautotrophic organisms are an important component of biofilms that live in certain regions of natural draft cooling towers, little is known about these communities. We therefore examined 18 towers at nine sites to identify the general patterns of community assembly in three distinct tower parts, and we examined how community structures differ depending on geography. We also compared the newly acquired data with previously published data. The bottom sections of draft cooling towers are mainly settled by large filamentous algae, primarily Cladophora glomerata. The central portions of towers host a small amount of planktic algae biomass originating in the cooling water. The upper fourths of towers are colonized by biofilms primarily dominated by cyanobacteria, e.g., members of the genera Gloeocapsa and Scytonema. 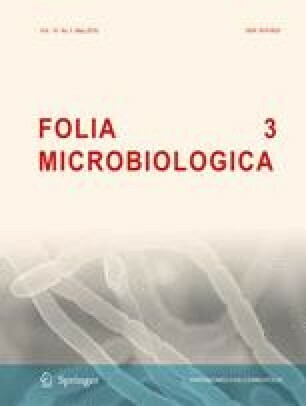 A total of 41 taxa of phototrophic microorganisms were identified. Species composition of the upper fourth of all towers was significantly affected by cardinal position. There was different species composition at positions facing north compared to positions facing south. West- and east-facing positions were transitory and highly similar to each other in terms of species composition. Biofilms contribute to the degradation of paint coatings inside towers. The online version of this article (doi: 10.1007/s12223-015-0429-4) contains supplementary material, which is available to authorized users. The work was supported by the University of South Bohemia under Grant GAJU 04-146/2013P and Academy of Sciences of the Czech Republic under long-term research development Project No. RVO67985939. The authors also wish to thank all the companies who provided access to their cooling towers, to Pavel Ambroz from Temelín power plant for valuable information concerning tower maintenance, and also to anonymous reviewers for valuable comments. Selection of most common phototropic taxa found in cooling towers: (a) Cladophora glomerata; (b) Gloeocapsa compacta; (c, d) Scytonema myochrous; (e) Phormidium cf. grunowianum; (f) Brasilonema sp.